Roger Cliffe and Michael Holtz show you the potential of a shaper. Hundreds of techniques are explored in vivid detail and clear step-by-step instructions. Includes tips on freehand shaping as well as jig and fixture shaping. 256 pages.Note: Due to their nature, books are non-returnable. Defective books will be replaced. 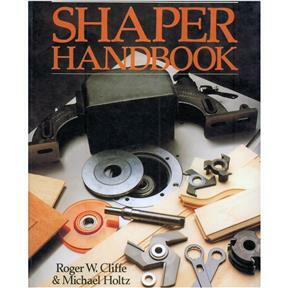 Roger Cliffe and Michael Holtz show you the potential of a shaper. Hundreds of techniques are explored in vivid detail and clear step-by-step instructions. Includes tips on freehand shaping as well as jig and fixture shaping. 256 pages.